Looks like GoG.com will be re-releasing X-Wing and TIE Fighter, along with a few other old Lucasarts games. It's going to be so good playing these again and hopefully they'll sell well enough to show there's still interest in Star Wars space sims. I suspect we'll be seeing more Lucasarts games being rereleased as well. I have X-Wing, but I could never get past the first mission (I only played it back in like 4th grade). I could play Wing Commander just fine, but this game I always had difficulty with. I think I remember running out of energy or something and I ran out of shots. Sweet, never finished any of those games either. The only one I did of this type was Freelancer. @Worf can you travel back in time and tell that to my 10 year old self please? Thanks. I used to be absolutely addicted to Tie Fighter, tho I never really got a chance to play X-Wing. Something I might be able to remedy now! Esh, spent so many hours on X-wing...on an IBM 486-24, always had to run it off a boot disc. Yes Weapon/Sheild/Engine management was key in several missions. I remember a specific mission protecting a medical frigate from tie-bombers that were approaching from both sides, the only way you could intercept both waves of bombers before they were withing firing range was rush to the first set, take them out as quickly as possible, then divert all resources to engines and rush to intercept the second set and hope you were able to get to them early enough to diable them before they were in range. Apparently there are more coming tomorrow and next week as well. I still have the original Tie Fighter disks somewhere in my closet. Used to play it a lot. 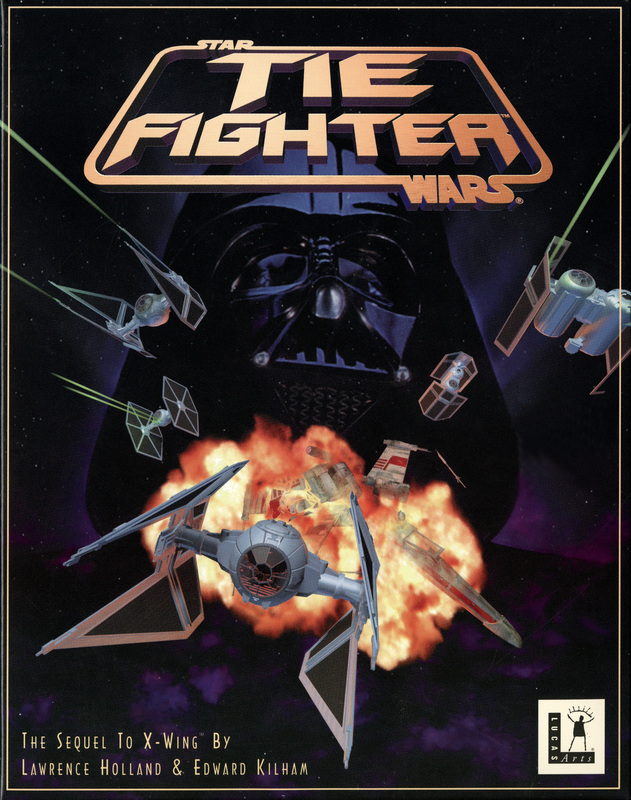 It was one of the best space fighting games, but it was pretty hard though. Games used to be harder in general. I think the Redemption mission in X-Wing was probably one of the hardest missions of them all! Those games had some really tough missions. Even though I blatantly cheated in TIE Fighter, there was one mission I was never able to get past. If I remember right, it seemed that I needed to be in two places at once immediately to protect different ships, neither of which was where I spawned in. Looking back on it, it was probably a power-management puzzle. I agree. It used to be really hard to play through games in the past, but now it seems a lot easier. But I think too hard games are not very enjoyable either and it can get frustrating quickly if it gets too hard. Afterall games are supposed to be fun. Thanks SD...yep that was the mission, defending the Repemption. Don't know how many times I had to restart that mission until I realized that as soon as the first wave of bombers were taken care of, you had to divert all power to engines and book it to the opposite side of the battlespace. Memory on it is a bit hazy now, but IIRC, to win the mission, it took heading off to intercept the 2nd wave even before those bombers appeared...so it helped to be able "see the future" as it were. DofM...Sounds like you are refering to same level in X-Wing as SD...and yes it very much was a resource management puzzle. GoG.com have updated their editions of X-Wing and TIE Fighter to include the Collector's CD Rom versions of the games. It's the best way to play them, so thought I'd mention it. Ooh, and there are Mac versions of X-Wing, TIE Fighter, and both Rebel Assaults, now. Thanks for the heads-up. Nothing I haven't played before, but I might get X-Wing and TIE Fighter. I don't miss either Rebel Assault that much. You know what I'd like? Racer. That was fun. And it'd be nice to play the later X-Wing games. Or, you know, a new space-combat game. Those are popular around here, right? As much as I want a new X-Wing game, looking at how EA are turning the new Battlefront into a huge step backward for that series, I think I'll be happy to just keep playing the old games. I'd thought it'd be a fun 50th Anniversary release to make a 3D remake of 25th and JR. You could probably get them on the full spectrum of devices, from phones to consoles to desktops. Maybe do something like the Arkham games, where there were unlockable skins, so you could swap models of the characters and ships and play in the TOS or movie-era. Heck, while I'm writing computer game fan fic, let's salvage the audio recorded for "Secret of Vulcan Fury" and throw that in, too. But just being able to play it at all is good, too. ETA: Having played it, it's almost everything I hoped, aside from some slight vertical stretching, and the fact that since it's emulating the DOS version and not the Mac version, there are a couple small differences. Namely, I was used to saving the game whenever I damned well pleased, and the old Mac MIDI instruments were better (okay, "different") than their DOS equivalents, so all the music sounds off to me. I guess I still have a reason to try and beat SheepShaver into submission one of these days, after all. If you really want to play this on a phone or tablet, you could transfer the files and use a Dos emulator. iDos 2 for iOS or Dosbox Turbo seem like the best options.